Our double dog leads are designed for walking two dogs at once. Made from super strong webbing with solid brass fittings. The two separate sections where the lead splits measure 2 feet each and the handle section measures 3 feet making 5ft overall ( 150cm ) from handle to each clip. 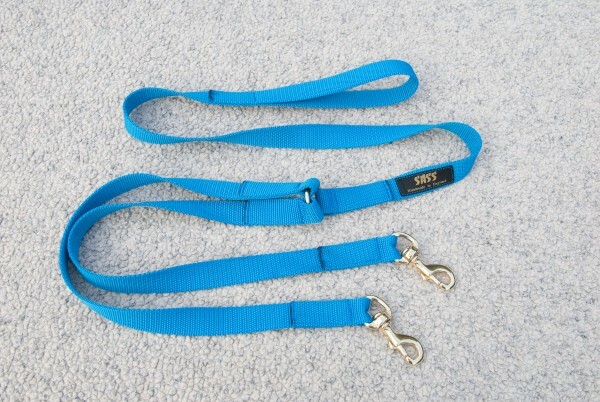 So you can now walk two dogs single handed, or attach to our walking belt and be hands free!